Just one mile from People's Square Shanghai, Wu Gong Hotel provides spacious, well-furnished rooms with private bathrooms, flat-screen TV and free internet. 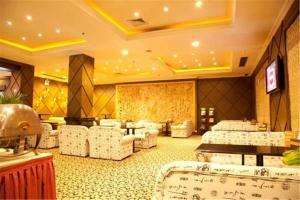 It has a fitness center and a karaoke room on site. Wu Gong Hotel is 10.5 miles from Shanghai Hongqiao Airport’s terminal 1, and Shanghai Pudong International Airport is about 27 miles away. Shanghai Train Station is only 3 miles from the hotel. 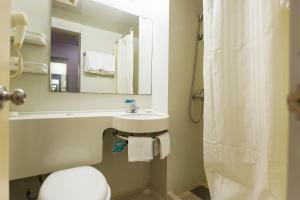 Rooms are modern and air-conditioned, featuring cable TV, an electric teakettle and a refrigerator. They have modern bathrooms with large mirrors. Some rooms include a bathtub and sitting area. Guests can shop for souvenirs at the hotel's gift shop or work out at the fitness center. There is also a nightclub for guests who would like to dance the night away. The restaurant serves Chinese dishes. Room service is available. A 10-minute walk from Caohejing Development Area, Jinjiang Inns Shanghai Everbright features air-conditioned rooms with 24-hour hot showers, free internet access and free private parking. 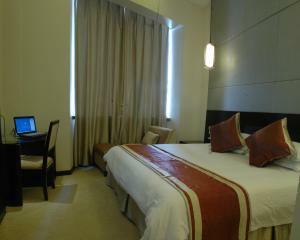 All rooms have a flat-screen TV, tea/coffee maker and desk. Slippers are provided. Facilities at Jinjiang Inns Shanghai Everbright Convention & Exhibition Centre include a business center, laundry service and a 24-hour front desk. The hotel's restaurant has a variety of options for breakfast daily. Jinjiang Inns Shanghai Everbright Convention & Exhibition Centre is a 50-minute drive from Shanghai Pudong International Airport and a 30-minute drive from Shanghai Train Station. Hotel Ibis Shanghai Lianyang is located within Pudong Laya Plaza, opposite to Thumb Plaza and a 10-minute walk from Fangdian Road Subway Station (line 7). 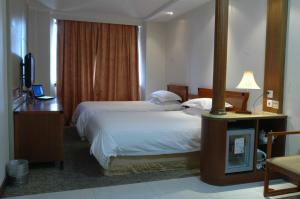 The hotel features free internet access, flat-screen TVs in rooms and an on-site restaurant. Hotel Ibis Shanghai Lianyang is a 15-minute drive from Lujiazui Business District and a 25-minute drive from People's Square. It is a 1-hour drive from Hongqiao Railway Staton and Airport while Pudong International Airport can be reached by a 35-minute drive. Shanghai Disney Resort is about a 25-minute drive from the property. 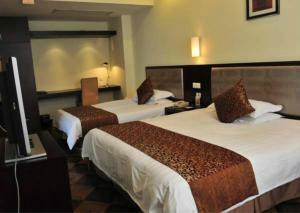 The air-conditioned rooms come with international TV channels. Hairdryers are available upon request. 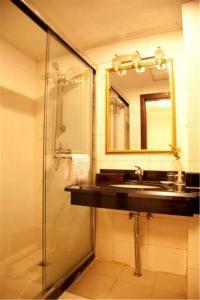 The individual bathroom comes with a shower and free toiletries. 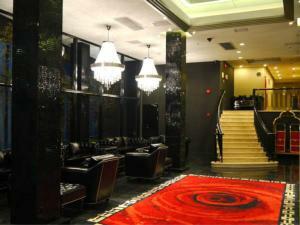 The hotel offers a 24-hour front desk and a safety deposit box. Luggage storage is available. Guests can dine at the on-site Rendezvous Restaurant and have light drinks at the bar. Located in the Huangpu district in Shanghai, 11 minutes’ walk from Nanjing East Road Metro Station (Line 2 and Line 10), Elegance Bund Hotel features air-conditioned rooms and private parking. Free WiFi is offered. Nanjing Road Pedestrian Street is 10 minutes’ drive from Elegance Bund Hotel, while People’s Square is 6 minutes’ drive away. Yu Garden is 6 minutes’ drive from the hotel, while Jing’an Temple is 11 minutes’ drive from the property. 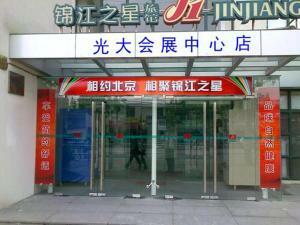 Shanghai Hongqiao International Airport and Hongqiao Railway Station are 37 minutes’ drive away. Each room is equipped with a TV, a sofa and a desk. A private bathroom is provided. For your comfort, you will find free toiletries and a hairdryer. You will find a 24-hour front desk offering free luggage storage at the property. 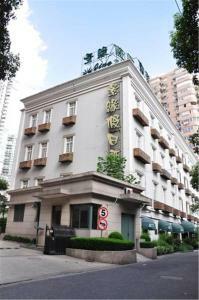 A 5-minute walk from Jiashan Road metro station, City View Hotel Shanghai offers elegant rooms with free wired internet. Xujiahui Commercial Area is a 5-minute drive away. Free parking is available. 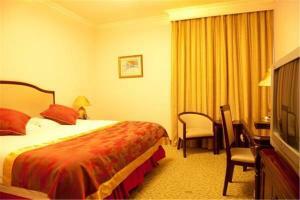 City View Hotel Shanghai is a 15-minute drive from People’s Square and Nanjing Road shopping belt. 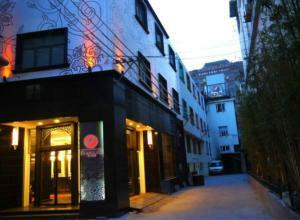 The Bund is a 20-minute drive away, while Xintiandi entertainment area is a 10-minute drive away. 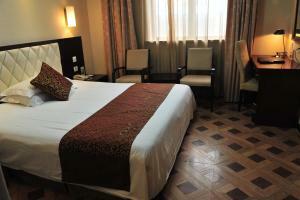 All air-conditioned rooms are fitted with a minibar, a flat-screen TV and soft carpeted flooring. A sofa and a writing desk are also included. 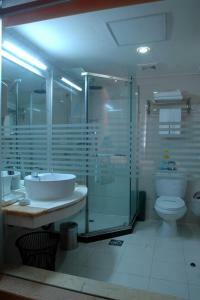 En suite bathrooms include free toiletries, and either shower facilities or a bathtub. The hotel offers laundry, dry cleaning and fax/photocopying services. The 24-hour front desk provides daily newspapers, luggage storage and safety deposit box for guests’ convenience. 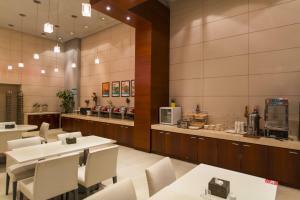 Guests can enjoy simple breakfast at the hotel’s on-site restaurant. There are also many restaurants located within walking distance of the hotel.